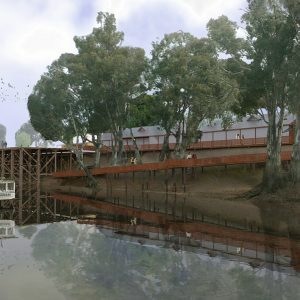 Hansen worked with JAWS Architects and the Shire of Campaspe to rejuvenate the Steam Port Precinct at the Port of Echuca. 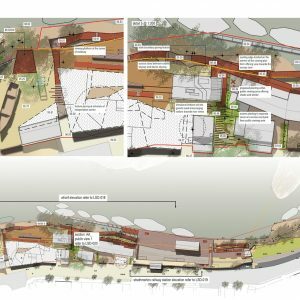 The project required a concept master plan, design development and detailed design drawings for a new interpretation centre as well as landscape upgrade works. 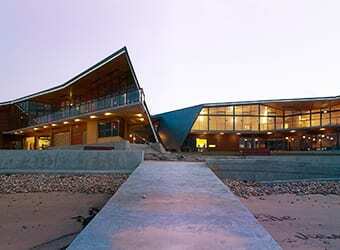 The JAWS Architects design for the centre reinforced themes of interpretation through spatial planning, built form, materiality and detail resulting in a place showcasing the port’s rich collection of stories. 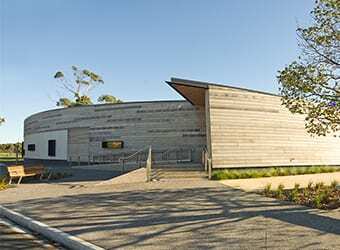 The scale of the building carefully responded to the adjacent structures, drawing on their simple roof forms and timber cladding to integrate the centre into the streetscape. 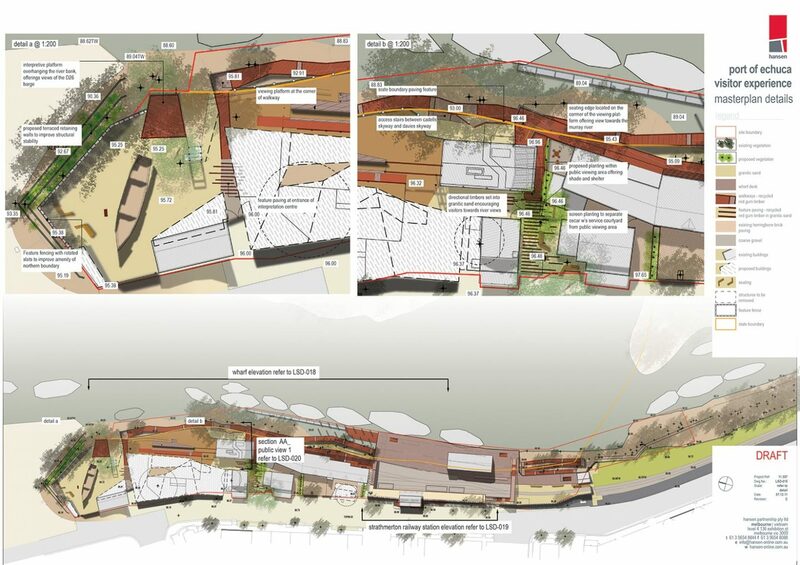 Given the centre’s setting within a heritage precinct, Hansen developed a strong understanding of the complexities associated with the heritage building and infrastructure, ensuring the design resolution of the site was carefully and respectfully thought through. 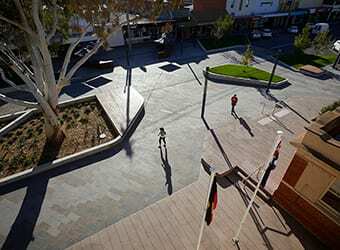 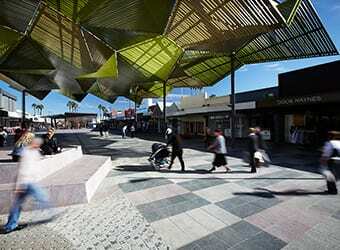 Our design was driven by the need to express cultural diversity within the precinct and a desire to provide a setting that would improve local tourism, making a positive contribution to the local community through upgrades to the existing streetscapes and creating new recreational spaces. 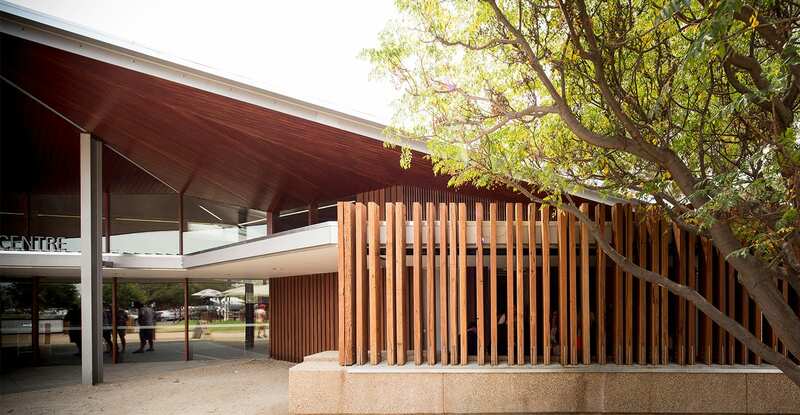 Hansen’s design includes raised timber walkways, weathering steel fences and balustrades as well as two enclosed courtyards. 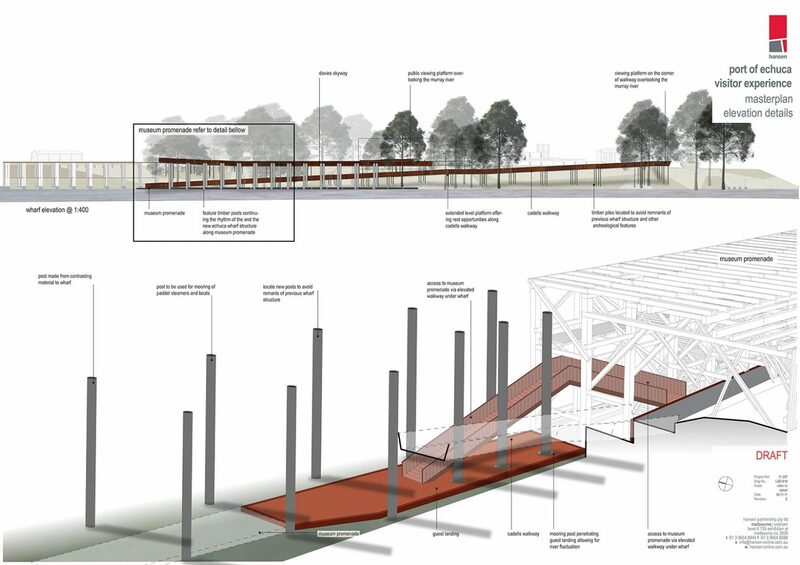 Each element responds to the existing character of heritage buildings and steam power infrastructure, incorporating contemporary design forms and interpretation. 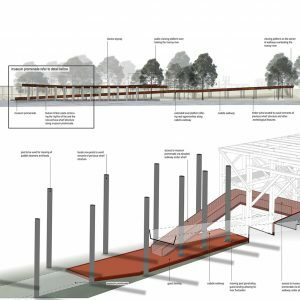 Given the project acts as a key tourism attraction for the region, Hansen worked closely with the Shire of Campaspe and tourism marketing specialists to develop a design tailored to the future expansion of tourism activity in Echuca.